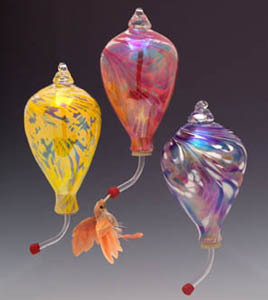 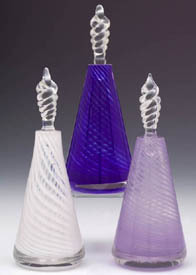 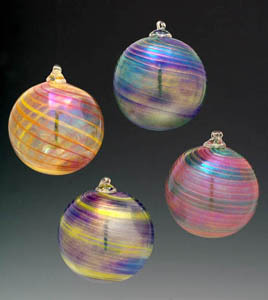 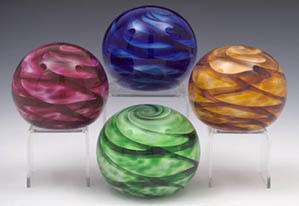 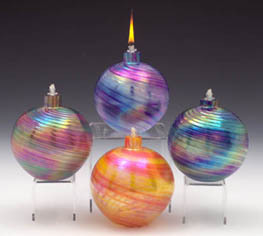 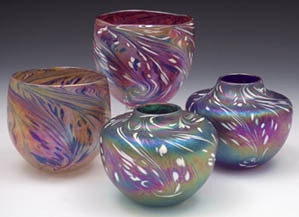 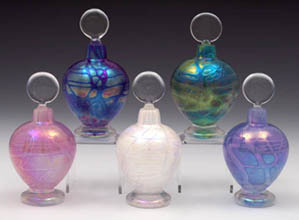 Glass is melted from raw materials to create the clearest glass available for studio use. 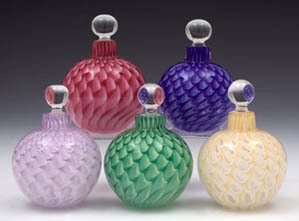 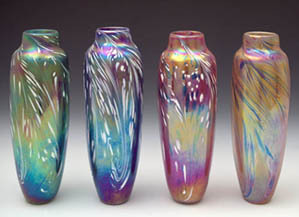 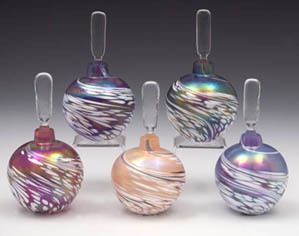 An extensive color palette is achieved through the addition of color glass chips and powders to the clear glass.The glass is then treated with a solution of rare and precious metals to produce the beautiful, multi-colored, iridescent effects. 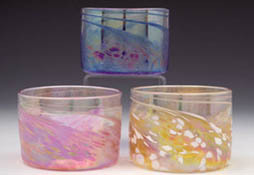 Our all-glass oil candles feature an everlasting fiberglass wick. 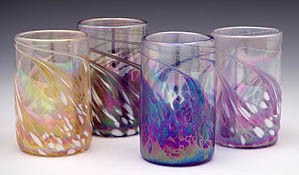 The wick never needs to be replaced!